The best adidas performance technologies get placed on their top two signature basketball shoes in the D Rose 6 and D Lillard 2. Both shoes get the Primeknit upgrade on the uppers which should help with the fit of the Rose shoes, as well as being a tad bit more comfortable on the Lillard. 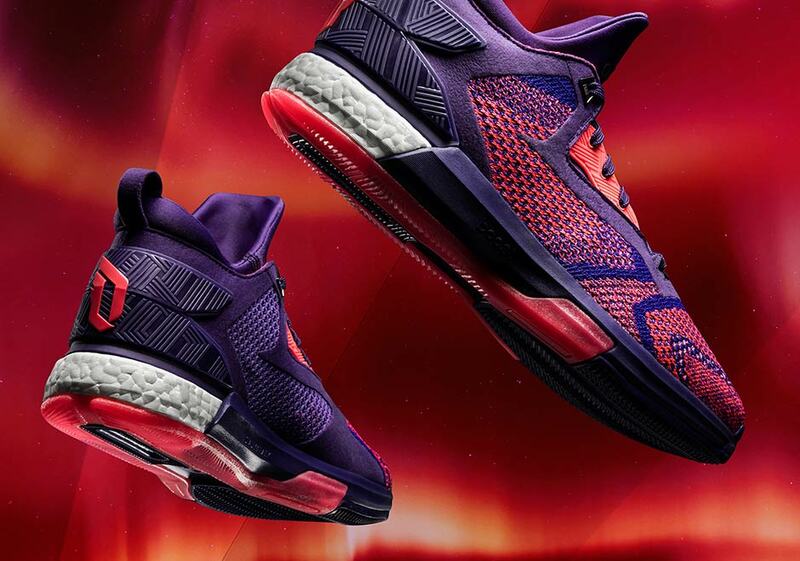 The adidas D Lillard 2 also replaces the Bounce cushioning for Boost technology in the heel. The catalog images at the retailers below are likely samples, as the images feature a different pattern on the Primeknit and do not have Boost at all. Hey Chi could you adopt me real quick I promise to be a good child just hook a brother up. LOL! I actually bought the D Lilliard, D Rose and JWall All-Stars today on the adidas site and cancelled the ones over at footlocker since they were shipping in mid-Feb.
A new Player into the lineup of Weartesters? LeMamba! Of course both Footlocker and Eastbay claim that they won’t ship before 2/15 because they are “backordered”. That’s just another word for “pre-order”. This pair’s price increased $30 from 170 to 200 in Canada…. Hate to say it, but seeing the 7 leak so early kinda kills my interest in this 6. Given the Xeno also fits so well already, I actually can’t imagine the knit being much better. Good Job adidas. Strategy, All premium basketball shoes should be priced at $100 for the next 3 year’s to make a dent in the basketball shoe market. adiMackj has spoken. 22 year’s of wearing adidas basketball shoes. The stock photo pics eastbay and footlocker have on the website show it with the stock Bounce midsole which I personally prefer over the CL Boost 2015 midsole. Did anyone else catch that? 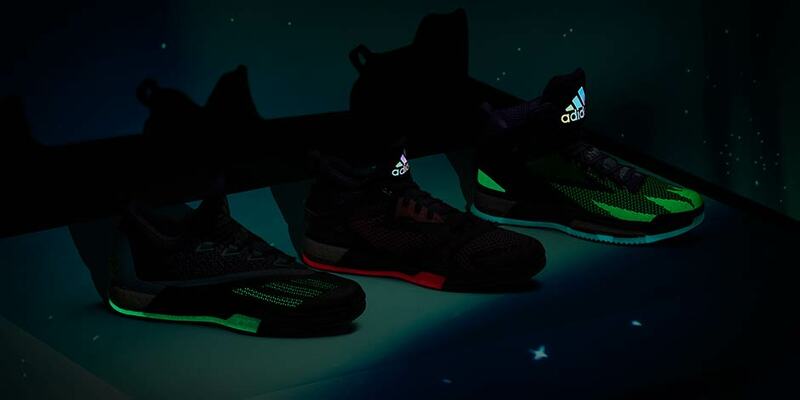 I know some “actual” pics have released showing the CL Boost 2015 setup I hoping its the Bounce midsole! The pic may be of a gs pair. I was trying to hold out for the D Rose 6 Primeknit, but couldn’t do it lol. I copped the new home colorway from Finish Line…haven’t even seen those at any retailer online. I like the support of the synthetic with the mesh overtop (I like the seamless, crease-less look), I feel like it will be more durable in the longrun to hoop in than the primeknit. I may still cop this new colorway though…just too crispy lol. I prefer waiting for the home colorway of the D Lillard 2 to drop, I prefer that color and midsole. But maaaaan Adidas is killing it lately, this collection looks spectacular! Yea, saw that. But the D Lilliard 2 All-Star will have boost in the heel. I still do not understand the backordered bit. The shoes are not sold out which means the true release date is mid-February. I wonder if they’re available in stores today. What is better Lillards 2 or Rose 5 ? Lillard 2!!! Unless you meant rose 6 then its a toss up and comes down to personal preference but the Lillard is cheaper. If the “5” wasn’t the typo, the Lillard without question. 6 vs. Lillard…it kinda boils down to cushion preferences. 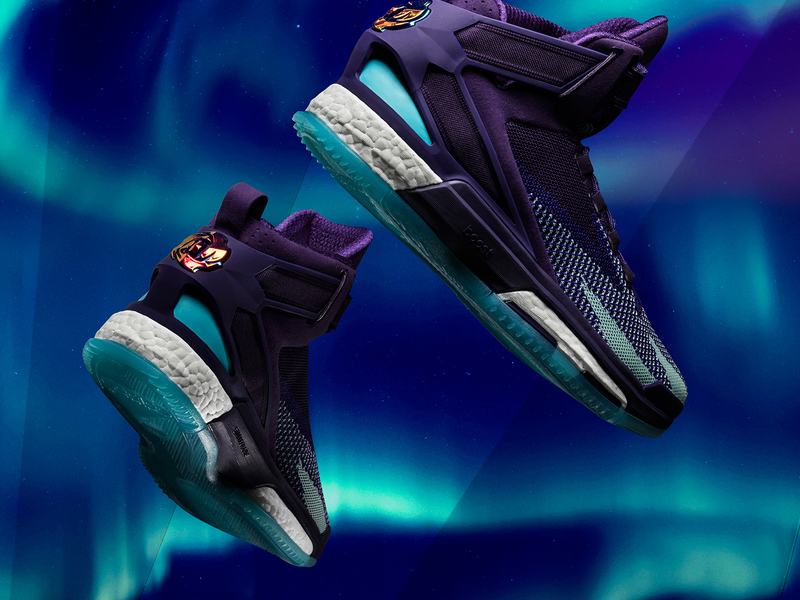 I could imagine some liking the Xeno or ASG Rose 6 over the Lillard. I have an idea boost heel and bounce forefoot cushion setup for a future performance model?? It would be better but I am on board with nightwing, I prefer full length boost or full length bounce. It just feels smoother and plays better for me. More fluid in transition and I don’t have as much cramping in my arches which is a personal problem I have no matter what shoes I wear. So is the picture of the Lillard on footlocker and eastbay just a place holder or is that what they are going to look like now? Scroll down on the release page and you’ll realize they probably just re-used the GS pic. The knit pattern isn’t as intricate as we’ve seen with the adult pair. 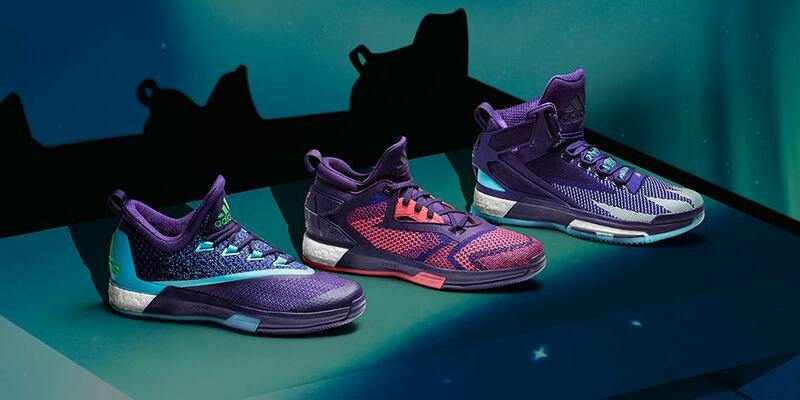 Looks like Adidas has the D Lillard, D Rose and J Wall All-Stars in stock and ready to ship! I ordered all three and cancelled my order over at Footlocker since they were “backordered” until mid-February. Can’t wait! got the Rose PrimeKnit today. was suppose to get then at footlocker but I decided to check out SportChek and they got them in. shoe is just insanely awesome that I got me a second pair with a different upper. the second copy is pure mesh (different from the primeknit/mesh like hybrid whites that were at launch). difference between the two shoes are C/W Purple Primeknit versus Black Mesh. the Black Mesh is damn snug (perfect fit) and the purple Primeknit is comfy fit (good for wide footers like me). also, the 2nd copy seems to have more floor grip than the PrimeKnit version. both are delicious to wear. sorry, the pure mesh copy in the black is really cloth mesh fabric unlike the TPU mesh whites. although I’m quite curious on the upcoming red tpu mesh with white under. might try and pick them up next month since I really dig the C/W. Collins – are you saying we should go down a 1/2 size for the D Rose 6 Primeknit compared to the non-primeknits? This was a concern of mine as the primeknits tend to be oversized by 0.5 to 1.0.
hi, mine were just fine and just TTS. the concern is for narrow-footers since the front could be spacious for them, for me they were ok. I’m saying if that you want a snug-fit with no room to wiggle your feet at the front, then going half-size down would be fine considering it’s primeknit material. although I would much better recommend the pure mesh version as those are really snuggy TTS fit and the colorway and materials are dope.